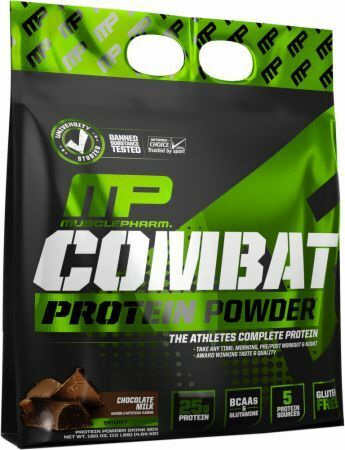 Muscle Pharm Combat Powder - 10 Lbs. (Vanilla) for $62.99 at Bodybuilding.com! Combat Powder is MusclePharm’s flagship protein powder. Although we’ve had our differences with them, we love how you can look up each batch of protein on their MPSSI lab test website and see that it is a legit 25g protein with added free form amino acids - not amino acid spiked. So when it’s at $6.50/lb or less, you’ll see it here on the hot deals page! Price Per Unit to get on Deals Page: $6.50 per Lb. Price Per Unit to generate email blast: $5.50 per Lb.